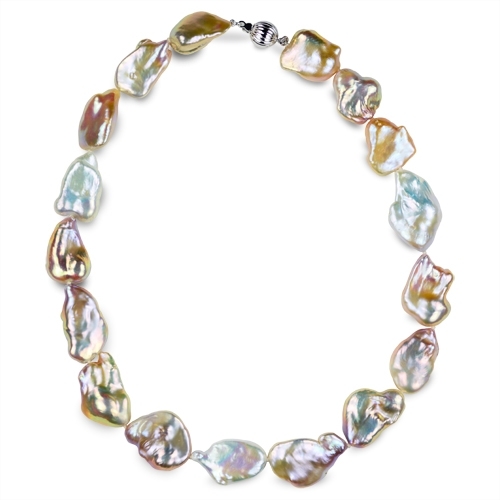 This incredible 13-20mm baroque freshwater pearl strand is a 100% knockout, head turning, statement piece! The many hypnotic colors through out the pearls are completely natural. The pearls have incredible surface quality, and boy are they large. This necklace has two thumbs up rating from our pearl experts and we highly recommend that you give it a shot and see for yourself.